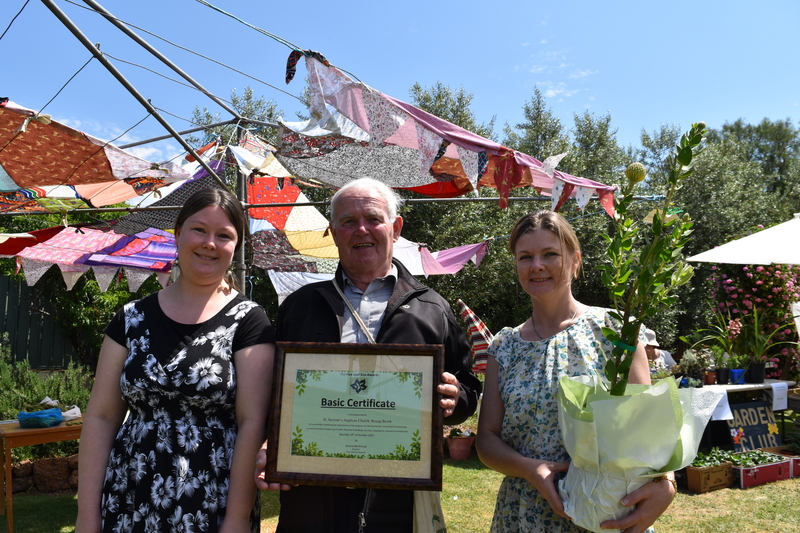 An award presented at the Spring Garden Festival at St Saviour’s Anglican Church on Saturday 10th of October 2015 has made it the first church in the South West to receive the Five Leaf Eco-Awards Basic Certificate. Awards program director Jessica Morthorpe was present to present the award and congratulate the congregation on their achievement. 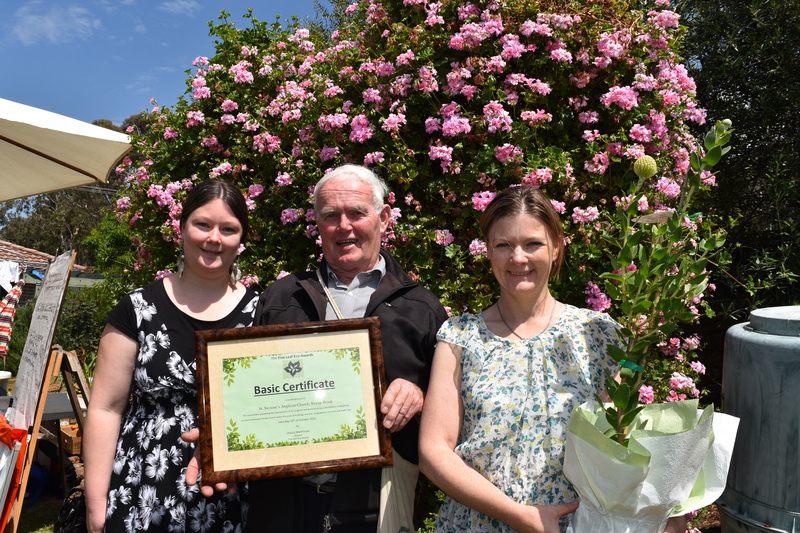 This award also makes them the 23rd church in Australia, and the eighth in Western Australia to receive a Five Leaf Eco-Award. 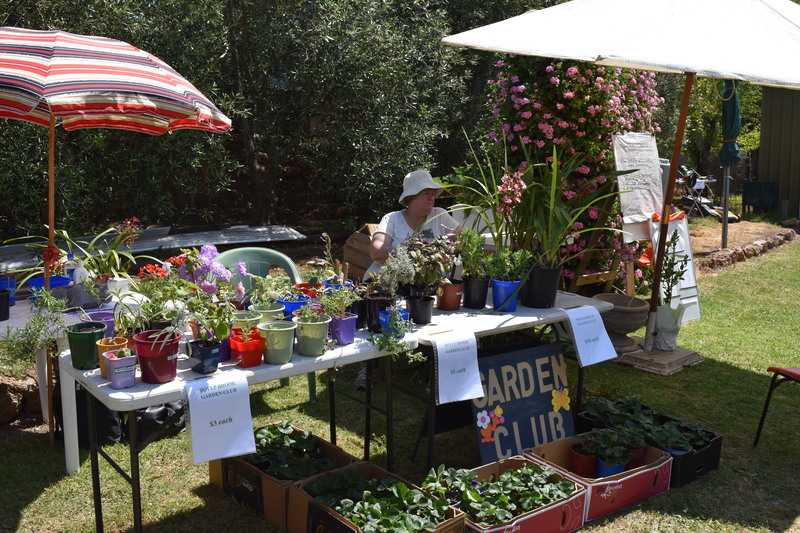 The award was presented at St Saviour’s first Spring Garden Festival, a very successful event that drew crowds to 21 stalls with an environment, garden or recycling themes to assist people in caring for creation, from around the region. 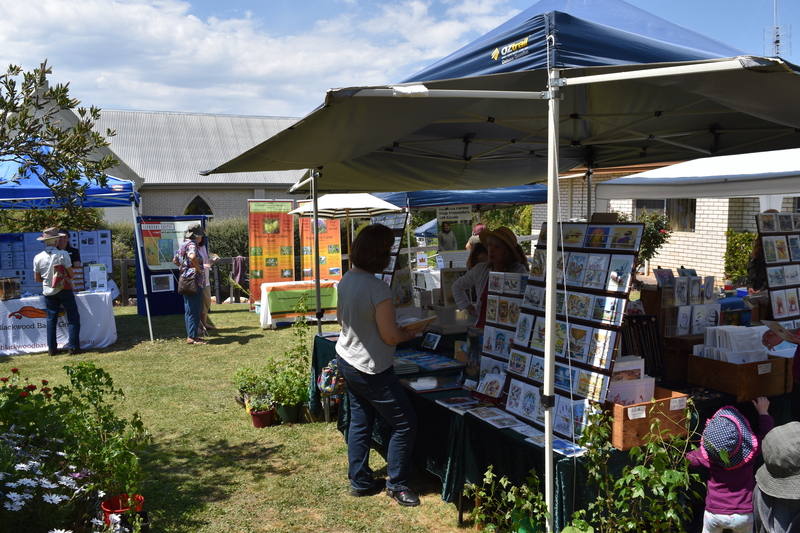 It was a very successful event, with many people from the church and community enjoying the shopping, food and lovely weather.